Is Canadian MoneySaver affiliated with any financial institution? Canadian MoneySaver is not connected with any bank, brokerage or other financial institution. Canadian MoneySaver is totally member funded. We do not sell advertising or our members' names/addresses. How many editions do we print annually of Canadian MoneySaver? We print 9 editions annually. January, February, March, May, June, July, September, October, November. 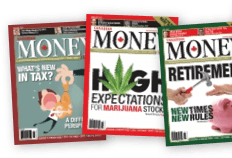 Who are the contributing editors of Canadian MoneySaver? Contributing editors are writers with financial expertise who have committed to providing articles at least three times annually. They believe that everyone can benefit from independent personal finance advice, which is objective and unbiased. You can rely on our trusted editors who are caring, confident and competent. How are the contributing editors selected? Editors are chosen by Peter Hodson, publisher and editor-in-chief, based upon their professional credentials and personal experiences. Mr. Hodson has worked in the investment industry since 1985, and knows all the tricks of the trade. Editors are selected because they have a special expertise that they are willing to share with members. They recognize the value of the positive attributes associated with a "volunteer" position. With no axes to grind, their trustworthy advice makes them prime candidates for this honourable board. How long has Canadian MoneySaver been publishing? Canadian MoneySaver was launched in September 1981 as an 8-page consumer newsletter by Dale and Betty Ennis. Over the years it has grown to focus less on penny-pinching suggestions to more significant savings in one's financial life. We continue to add more services as we identify the needs of such activities, such as our Canadian investment conferences, our website and member benefits. Canadian MoneySaver is a privately held corporation. Its principal shareholders are 5i Research, owned by Peter Hodson, former Chairman of Sprott Asset Management LP. What is Canadian MoneySaver's mission statement? Canadian MoneySaver's mission is to offer sound financial advice through their board of money experts coupled with their timely information based on each writer's practical experiences working with Canadian consumers. This advisory service is brought "alive" as members have direct access to contributing editors. We bring affordable and trustworthy advice right into your home. Why does Canadian MoneySaver publish both a print and electronic edition? Members of our print-only service asked that we offer a more immediate source of financial advice through the online edition. Besides up-to-date news, we could extend our easily accessible library of articles and related data in our archives. Members appreciate the option of print or electronic or both editions. Our searchable Canadian MoneySaver archive is an excellent resource for both new and long-time members. What are the membership demographics for Canadian MoneySaver? In summary, our membership tend to be post-secondary graduates with above-average household incomes. They recognize the need for learning to enhance their future retirements. The majority live in an urban environment close to the site of their professional workplace. Increasingly, more females and younger investors are actively participating. The magazine provides great advice for all ages and income levels. What topics are covered in Canadian MoneySaver? Canadian MoneySaver covers every conceivable topic related to money matters. The major topics include: investments; stocks, financial, retirement and estate planning; taxes; real estate; small business; insurance and consumer savings. Can I rely on the information published in Canadian MoneySaver? We emphasize the practical and everyday concerns that face Canadians. Our writers are professionals in their respective fields, such as lawyers, investment counsellors, accountants, financial planners, portfolio managers and seasoned investors. As we're member funded, we must meet our members' needs or this support would be impossible. Thousands of Canadians support our service and have since 1981. Our members tend to remain for years once they've discovered our service to them. How can I contact the contributing editors? We bring print alive by arranging to have our editors available to respond to members' inquiries. They usually agree to do so. Therefore, addresses, phone numbers and e-mail addresses often follow each article. Each contributor is also profiled on our web site with more information about them. Can I ask your experts personal financial questions or clarifications on their articles? We encourage two-way communication. Your questions, inquiries, suggestions and feedback help improve and add to our service. 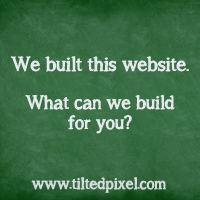 By contacting us, you assist with this process. We encourage members to be proactive and as well as reactive. Is Canadian MoneySaver on the newsstands? Canadian MoneySaver is available on selected newsstands in Canada, i.e. on a limited basis. Chapters, Indigo and better newsstands will carry Canadian MoneySaver.